(Boston,MA 07/23/16) Attendees hold signs on Saturday,July 23, 2016 at statehouse rally in opposition to the recent actions of attorney general Maura Healy. Staff photo by Patrick Whittemore. Hundreds—maybe thousands—of gun rights activists lined Boston’s Beacon Street in front of the State House on the morning of July 30 to denounce Attorney General Maura Healey’s recent restriction on “copycat” assault rifles. The number of gunowners who turned out to protest the non-legislative change in what they believed was the state’s law varied depending on which media covered the event. “Hundreds” in several reports became “more than 2,000” in a CBS News report. And some sources claimed the crowd was even bigger. The Boston Herald reported that State Senate Minority Leader Bruce Tarr (R-Gloucester) had filed a bill the previous day that would remove Healey’s authority to issue rules and regulations on firearms sales under the state’s consumer protection statute. But the Associated Press and CBS News reported that the Bay State’s House Speaker Robert DeLeo says he expects the dispute over Attorney General Maura Healey’s crackdown on so-called copycat assault weapons to ultimately be decided in court. DeLeo earlier he had ruled out any House action on the gun issue as lawmakers held their final formal sessions of the year. DeLeo also told AP and CBS that he’s not sure if Healey overstepped her authority and expects the courts to decide. A week earlier, Healey sent the notice to the state’s 350 gun dealers, effective on July 27, requiring them to stop selling copycat, or slightly altered, versions of common semi-automatic rifles like the AR-15 or the AK-47. 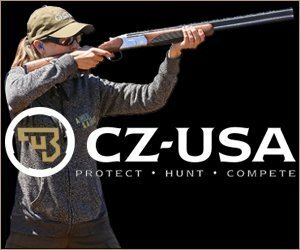 She argued that gun manufacturers and sellers were exploiting a loophole in the state’s 1998 “assault weapons” ban in order to sell functionally identical firearms, 10,000 of which she claimed were sold last year. Gun advocates have responded that Healey acted unilaterally, bypassing the state legislature while it was not in session, a move they say is an overstep of her powers. But gun sales surged after Healey ordered the heightened ban, with many people also suspecting that they might be charged for violating her order. According to some reports, Massachusetts gun shops sold more than 2,500 of the guns at the center of the controversy in one day—nearly a quarter of the total sold in all of 2015. Sales dropped the following day, but were still above the same day total a year earlier. 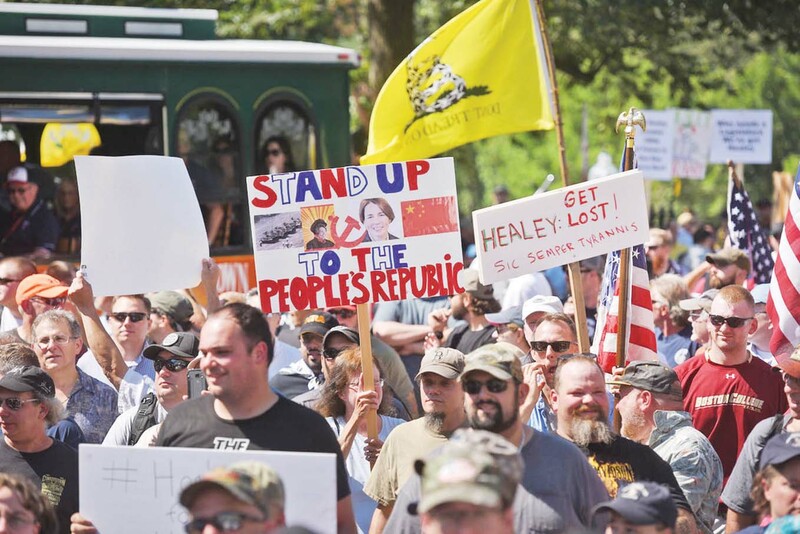 The State House rally was led by the Massachusetts Gun Owners’ Action League (GOAL) but included gunowners from local gun clubs and associations across the state, wielding “Don’t Tread on Me” and American flags and signs depicting Healey with a Hitler mustache. Legislators and advocates who took the microphone said Healey had transformed legal gun owners into “felons-in-waiting” overnight. They acknowledged that Healey had promised not to prosecute those who purchased the guns legally before her order, but said they did not trust her word. “She could change her mind tomorrow,” Gun Owners’ Action League executive director Jim Wallace said. Billy Pitman, the governor’s press secretary, has said Baker believes Healey has the authority to crack down on guns that skirt the “assault weapons” ban.